Despite the fact that analyses of biological populations within species have become increasing sophisticated in recent years, the language used to describe such groups has remained static, thereby reinforcing (and reifying) outdated and inadequate models of variation such as race. This problem is further amplified when the element of human culture is introduced. 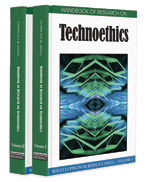 Drawing on Mario Bunge’s work on technoethics, in which he asserts that technology should be subject to social and moral codes, this chapter argues that the ‘race problem’ should compel anthropologists to exploit technology in order to find workable solutions. One solution to this problem may be found in modern approaches to human skeletal variation using advanced computing techniques such as geometric morphometrics, which allows for the comparison of bone morphology in three dimensions. Coupled with more complex theories of social and genetic exchange, technologically advanced methodologies will allow us to better explore the multidimensional nature of these relationships and to understand how group formation occurs, so that a dynamic approach to classification can be developed. What Is The Role Of Race In Anthropology? The race concept in general, and the use of racial classification in anthropology in particular, are well researched as theoretical problems, and remain popular topics of academic inquiry. The race debate that was initiated by such esteemed anthropologists as Ashley Montagu and Claude Levi-Strauss in the 1940s and 1950s1 in response to the rising popularity of eugenics programs worldwide, seems to have reached its climax in mid-1990s, when much of the scientific world was appalled by the research coming out of the discipline of evolutionary psychology. Evolutionary psychologists such as Herrnstein and Murray (1994) and Rushton (1995) argued that inherent intellectual capabilities could be predicted by racial group membership. Much of the criticism of the race concept at that time was aimed specifically at this type of research, which drew a direct correlation between race, intelligence, and social achievement. It was presumed that these correlations were demonstrated by both differences in average brain size between racial groups and scores on intelligence tests. Skeletal Morphology: The form and structure of the skeletal system and its individual elements.